Poster art for the Gang 2.0, with the addition this time of Tom O’Folliard (Balthazar Getty) and Hendry French (Alan Ruck) on the left, and Arkansas Dave Rudabaugh (Christian Slater) on the right. 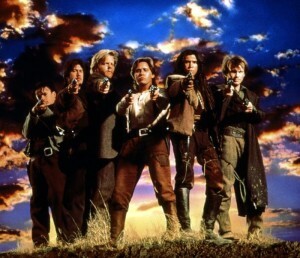 Young Guns was a surprise hit in 1988, striking a chord with the youthful end of the movie-going public. It gave rise to a new idea at movie studios: Perhaps there was a market for youth-oriented westerns, a genre whose principal audience had been considered to be among the aging population that still remembered, and harbored a fondness for, John Wayne. The new idea resulted in such westerns with young actors as American Outlaws (2001) and Texas Rangers (2001), neither of which did much at the box office because they were not good movies. And, of course, it led inevitably to a sequel to Young Guns. As with the first movie, the sequel consists of several facts mixed with a lot of fiction. When last seen in the first movie, Billy (Emilio Estevez) and several of his compatriots were escaping from the burning McSween house in Lincoln, New Mexico, after an extended battle in 1877. Alexander McSween himself and Charlie Bowdre (Casey Siemaszko) were killed, but Billy got out; Doc Scurlock (Kiefer Sutherland) returned to the East and José Chavez y Chavez (Lou Diamond Phillips) headed west to California. 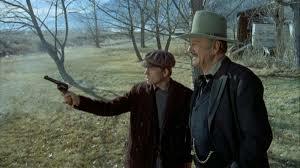 As Young Guns II opens a year later in 1878, Billy is now riding with a couple of new comrades: Arkansas Dave Rudabaugh (Christian Slater), who envies Billy his notoriety, and Pat Garrett (played briefly by Patrick Wayne in the first movie, here by William Peterson with luxurious sidewhiskers in a more significant role). 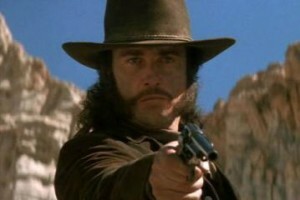 Pat Garrett (William Petersen) during his days of riding with Billy. The initial scenes show Doc Scurlock, now teaching children in a school in New York, being abducted and thrown into a pit-jail in Lincoln, where he is reunited with Chavez. Billy meets with Gov. Lew Wallace (Scott Wilson), and they negotiate a deal: Billy testifies against the Murphy-Dolan faction in court after a brief token imprisonment, and in return he is to receive a full pardon. But the Lincoln County prosecutor is a member of the Murphy-Dolan ring, and he intends to hang Billy. Billy manages to escape, along with Scurlock and Chavez. Pat Garrett leaves the gang for a more respectable life, but they are joined by Hendry William French (Alan Ruck), a farmer who has lost his family and farm, and Tom O’Folliard (Balthazar Getty), a 14-year-old who looks younger. Billy tells the other members of the gang they’re heading south to Mexico along a trail he calls the Mexican Blackbird. They stop by the ranch of John Chisum, an ally of Billy’s murdered former boss John Tunstall. Chisum (James Coburn, who had played Pat Garrett almost twenty years earlier in Sam Peckinpah’s Pat Garrett and Billy the Kid ) resists financing Billy’s expedition south, and they shoot two of his men. When they leave, Chisum decides to “set a thief to catch a thief,” and he recruits Garrett as the new sheriff of Lincoln County to hunt Billy down. Billy (Emilio Estevez) is captured more than once, but never intimidated. Garrett’s posse includes a newspaperman and John W. Poe (Viggo Mortensen in a small role), a representative of the cattlemen’s association who is there to see that Garrett takes his responsibilities seriously. At White Oaks, Billy and his men are enjoying themselves at Jane Greathouse’s sporting place when accosted by a local mob wearing hoods. Billy negotiates an exchange of Chavez for the mob to hang, but sends Deputy Carlyle out in Chavez’ clothing and hat, and the mob shoots him to pieces. Garret burns down Jane’s establishment in retaliation (despite their past history), and she leaves town in Lady Godiva fashion for unknown reasons. Finally the gang is cornered in a remote cabin at Stinking Springs. O’Folliard and Scurlock are killed; Chavez is badly wounded, and Hendry and Rudabaugh barely escape. Billy surrenders and is jailed in Lincoln. Jane Greathouse is not allowed to talk with him privately but plants a gun in the outhouse, and Billy pulls off his famous jailbreak, killing Bob Ollinger with his own shotgun, as well as Deputy James Bell. Billy heads for Fort Sumner, where he sees a dying Chavez and encounters Pat Garret waiting for him in the dark. We see Billy’s funeral in Fort Sumner. But we also have a framing story from 1950, claiming that Billy’s friend Pat Garret did not kill him, and that Billy lived until 1950 as Brushy Bill Roberts. Emilio Estevez in heavy makeup as the aged Brushy Bill Roberts, ca. 1950. The director here is not the same as the first movie; this may be the best-known movie directed by New Zealander Geoff Murphy. But the writer, John Fusco, is the same, and the feel of the movie is quite similar, although the story here is more episodic. There are bits of anachronistic dialogue, as in the first movie. A feeling of doom pervades this film, since we all know that Billy didn’t live long. Billy (Emilio Estevez) is his usual immature self, slick with guns, heedless and utterly self-confident. Jenny Wright is memorable in a brief role as sensual madam Jane Greathouse. The Tom O’Folliard and Hendry William French characters feel unnecessary, although Alan Ruck is good as Hendry. This may have been one of Christian Slater’s best roles; Slater has a limited range as an actor, and Arkansas Dave Rudabaugh seems perfectly suited to him. William Peterson is one of the better versions of Pat Garrett on film, although he is still somewhat enigmatic. If you liked Young Guns, you’ll want to see Young Guns II. Together, they constitute their generation’s glossy cinematic version of the Billy the Kid story. In color, at 104 minutes. What about historical inaccuracies? There was no Jane Greathouse; Billy and his compatriots were besieged at the house of James Greathouse in White Oaks. 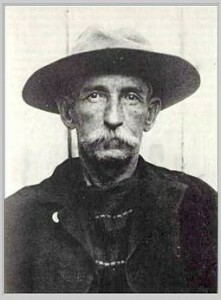 Scurlock was not killed at Stinking Springs or elsewhere; he returned east, but only as far as Texas, where he lived out his life until 1929 as a respected citizen. His death in the movie was based on the actual death of Charlie Bowdre, apparently written that way in the movie to accommodate Kiefer Sutherland’s schedule on other projects. Chavez became a gunfighter and policeman in New Mexico, and apparently died of natural causes in 1924. 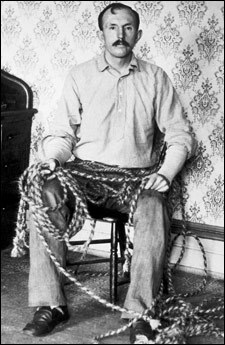 Tom O’Folliard was Billy’s best friend in the gang, and he was not 14 but was about 22 (near Billy’s own age) when he was killed by Garrett’s posse. 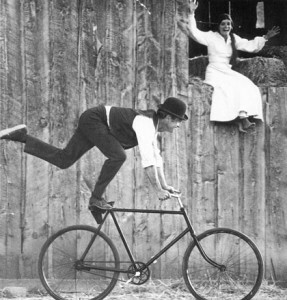 Pat Garrett and Billy were not close friends and did not ride together; they were at best casual acquaintances. Garrett did hire a writer to get out his side of the story, since Billy was popular in some quarters in New Mexico. Dave Rudabaugh was sometimes known as Dirty Dave, a particularly unpleasant New Mexico outlaw with an aversion to water like the Dirty Steve character played by Dermot Mulroney in the first movie. Rudabaugh never used the name “Arkansas Dave.” He was captured at Stinking Springs, not fleeing south to Mexico. After escaping from jail in New Mexico, he joined the Clanton gang around Tombstone, Arizona Territory, fighting the Earps. The events of the last three years or so of Billy’s life are compressed to make them seem more like two or three months. That’s for starters. Doc Scurlock (Kiefer Sutherland) and Chavez y Chavez (Lou Diamond Phillips) at Stinking Springs. With famous outlaws (Jesse James, Butch Cassidy) there appears to be an irresistible temptation to come up with some reason they did not die as history records but lived on to a healthy old age under another name. The same impulse is there with Billy the Kid. But the best information indicates that he was really killed by Pat Garrett at Fort Sumner in July 1881, about the age of 21. 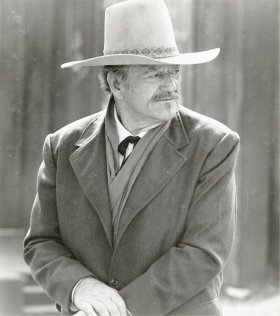 Dave Rudabaugh shows up in The Gunfight at Dodge City (1959), but his role there is completely fictional. Wyatt Earp first meets Doc Holliday in Fort Griffin, Texas, when hunting Dave Rudabaugh in Wyatt Earp (1994). Some music for the film is provided by rock musician Jon Bon Jovi, who also has a cameo as one of the prisoners in the jail-pit in Lincoln. He gets killed early in the movie. 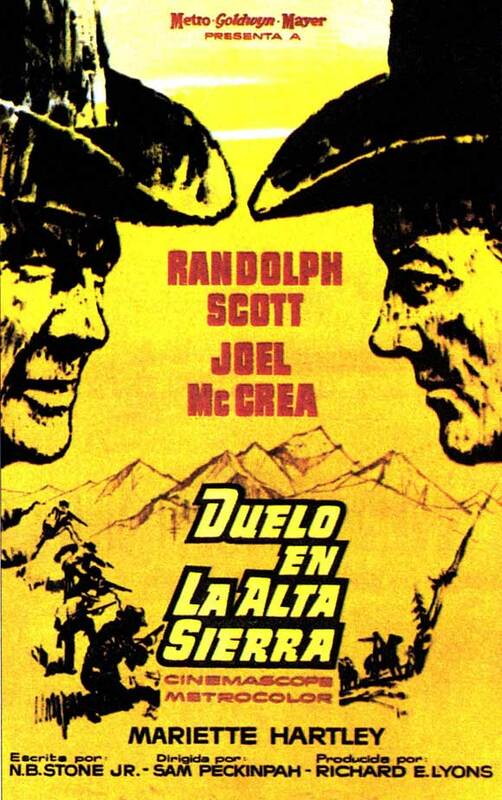 Trivia and obvious question: At one point in the movie, Doc Scurlock quotes the Edgar Allan Poe poem “El Dorado.” For no extra points at all, name the other western in which the same poem is quoted. For the answer, click here. Kick yourself if you didn’t get this one. This entry was posted in Westerns Worth Watching and tagged Billy the Kid, End of an Era, Manhunts, Outlaw Gangs on February 12, 2015 by Nicholas Chennault. This is the story of a newspaper-sponsored endurance horse race (700 miles in seven days) in the early days of the 20th century (1905), with a variety of contestants including old friends and former Rough Riders Gene Hackman and James Coburn. Sam Clayton (Hackman) is a sort of horse-whisperer type; Luke Matthews (Coburn) is a gambler, in the race purely for the money. The other contestants seem to be a variety of stereotypes: Carbo, the Kid who’s not really the cowboy he pretends to be but comes of age during the race (Jan-Michael Vincent); the dying but sympathetic Old-Timer (Ben Johnson); Jones, the Gritty Babe with a Past (Candice Bergen); the Competent Mexican (Mario Arteaga); Sir Harry Norfolk, the Sporting Englishman (Ian Bannen); Jack Parker, the Distasteful Magnate (Dabney Coleman); and others. The story develops in seeing them get winnowed out while eventual winners, and a couple of non-winners, demonstrate their worthiness. Character gets established early in the film. 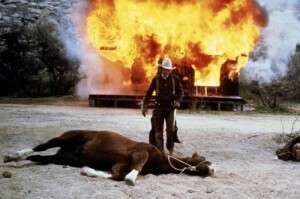 Clayton has been hired to deliver a thoroughbred to the train transporting race participants, and he misses the connection while saving a colt. Carbo has a big mouth and doesn’t treat animals well. Clayton sticks up for underdogs; Matthews sticks up for Clayton. 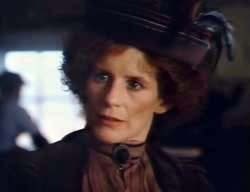 Jones makes connections with her former madam and establishes general competence despite her background. The Mexican has a bad toothache but can’t get it attended to because of social prejudices. The wealthy Englishman is a good sport who cares about his horse; the wealthy American less so. The loutish Carbo (Jan-Michael Vincent) punches out a donkey. The plot feels organic, up to a point. Backstories on most of the contestants are revealed bit by bit, but some of them remain more enigmatic than others. The movie is most interested in Sam, Luke and Jones, with perhaps more of Carbo than the audience needs to see. There are a couple of changes of heart that are not entirely convincing because they happen so fast. 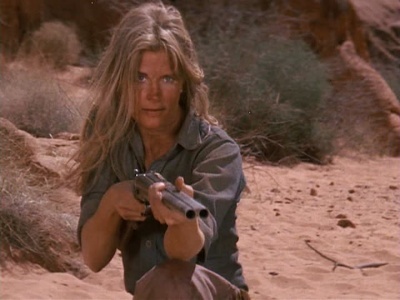 Miss Jones (Candice Bergen) defends herself in the desert. Near the end of the race, it develops that Jones is in the race to help her bank-robbing boyfriend Steve (Walter Scott) escape from a chain gang. Her eyes are opened when Steve brings along two others, kills guards unnecessarily and steals horses from contestants in the race (the Mexican, Sam and Luke). The various parties—Jones, Sam, Luke, Carbo and even the American magnate—cooperate in getting them back, with Luke maniacally driving the newspaper’s motorcycle. This rehabilitates Carbo’s careless character, who redeems himself with this and by taking care of the Old Timer’s horse. 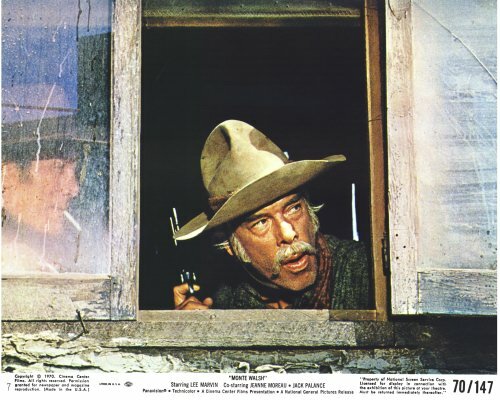 Sam (Gene Hackman) and Luke (James Coburn) give chase on a modern contrivance. There are only three contestants still in the race at the end: Sam, Luke and the thoroughbred rider. The grueling race has taken its toll on them, and the conclusion is fairly satisfying. It’s not entirely clear what happens to the Mexican and the thoroughbred. Jones leaves after her role in abetting the escape becomes obvious, although it is clear that she remains good-hearted and didn’t intend the nasty things Steve did. She’s well rid of him. Gene Hackman and James Coburn were at the peaks of their careers in this. They were well-cast for their parts, and they form the center of the film. Candice Bergen was great to look at, not a superb actress but able to do what is required of her here. Well written, this makes pleasant enough watching, but it’s not quite as good as writer-director Brooks’ previous effort in The Professionals (1966). It may be better than Brooks’ seldom-seen The Last Hunt (1956). The social attitudes seem quite current for a film now forty years old, but maybe we’re just now catching up with Hollywood liberals of the 1970s. The point is made a couple of times about technology overtaking the horse, with a recurring motorcycle. Music is by Alex North. In color, at 131 minutes. Things just aren’t working out. 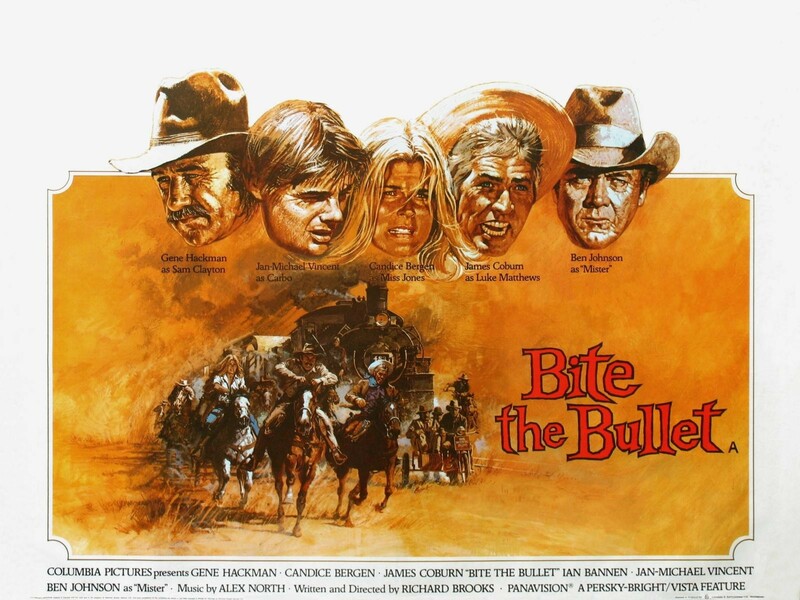 Lest the title seem too arbitrary, there is an actual bullet bitten in this movie. When the Mexican can’t get dental attention for his tooth, Jones lances the infection and Clayton fashions a temporary crown for the tooth out of a bullet casing. For another endurance race featuring a westerner (albeit a race in the Arabian deserts), see Hidalgo, with Viggo Mortensen (2004). Historically, there were several endurance races like the one in this film. The most famous took place in 1893, a 1000-mile race from Chadron, Nebraska, to Chicago, promoted by Buffalo Bill Cody in connection with the 1893 Columbian Exposition in Chicago. 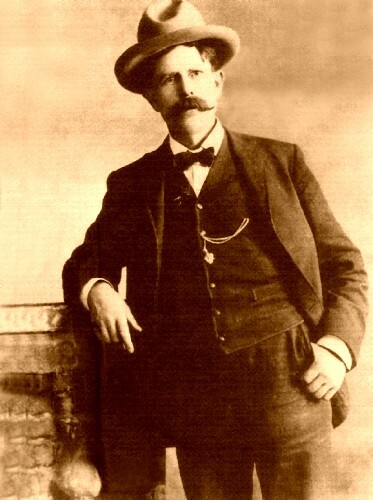 The best-known participant was horse thief Doc Middleton. The race in this movie is said to have been inspired by the 1908 700-mile cross-country horse race from Evanston, Wyoming, to Denver, Colorado. It was sponsored by the Denver Post, which offered $2,500 in prize money to the winner. This entry was posted in Westerns Worth Watching and tagged End of an Era, Gene Hackman, James Coburn on July 14, 2014 by Nicholas Chennault. This was the penultimate movie for 50-year-old Steve McQueen, who was dying of cancer in 1980. It’s the story of a famous stock detective who hunted down rustlers in Wyoming around the turn of the century after a career as an Indian scout in Arizona. He is now, and was then to some degree, an anachronism and a symbol of a freer and more open time on the frontier. Even in Wyoming, the frontier was closing down and law had to be served. Based in some significant measure on the memoirs of the actual Horn, some parts are remarkably accurate historically and others less so. Death and devastation seem to accompany Horn, regardless of how much of it he actually intends. Horn’s principal tool is his rifle, with which he is remarkably accurate at long distances. “The rifle Horn uses to such deadly effect in the film is an original Winchester Model 1876 in .45-60 caliber, fitted with a custom tang sight. Manufactured from 1877-1894, the Model ’76 was an obsolete arm by the turn of the century, when the events of the story take place. All the available historical sources state that Horn actually used a .30-30 Winchester Model 1894 for his controversial activities as a ‘stock detective’ in Wyoming.” That is to say that Horn’s rifle in this movie is slightly anachronistic, but that’s quite common in westerns. 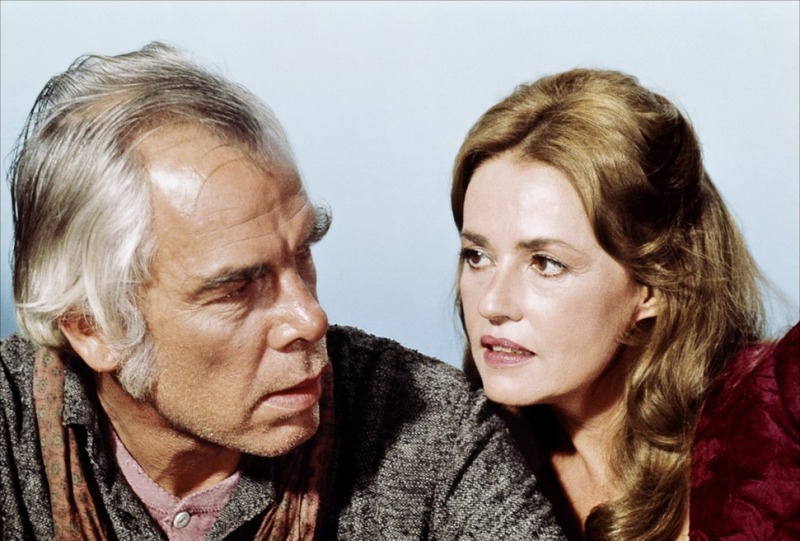 Horn (Steve McQueen) with Glendoline Kimmel (Linda Evans). The dying McQueen makes Horn’s world-weariness and unwillingness to defend himself believable, if not entirely understandable. Linda Evans is Glendolene Kimmel, a school teacher and romantic interest of Horn’s. Richard Farnsworth is excellent as John Coble, the prime mover among the ranchers who remains loyal to Horn. Slim Pickens is effective as Sam Creedmore, the sheriff in Cheyenne. Rather an elaborate execution by hanging at the end, with an automated gallows. Not enough background is given on why Horn is a legend of the west (i.e., his activities as a scout against the Apaches in Arizona), or his relationship with Glendolene. The movie is shot with lots of stark browns and grays, and the second half is slow-moving. This is an end-of-an-era western, shot in early 1979 and released in 1980 at a time when very few westerns were being made and McQueen’s career was no longer very active (no major commercial films since 1974’s Towering Inferno). “If you really knew how dirty and raggedy-assed the Old West was, you wouldn’t want any part of it,” Horn tells Glendolene, who ultimately does not stick with him. The actual deputy U.S. Marshal Joe LeFors, who set up Horn and testified against him, is here renamed Joe Belle (played by Billy Green Bush) for some reason. There is a brief performance by an aging Elisha Cook, Jr. as a stable hand. The making of this movie almost defines the term “troubled production.” That by itself doesn’t mean a movie will be terrible, but when that many things go wrong, it becomes much harder for such a collaborative effort to turn out well. Five directors worked on this film, but most were either fired or left because of disagreements with McQueen, who is credited as the producer. It is widely believed that McQueen directed much of the movie himself. One of those said to be associated in the early stages was Sam Peckinpah, but he and McQueen had a falling out (as Peckinpah often did with producers). “Neither Don Siegel nor Elliot Silverstein made it past pre-production. Electra Glide in Blue director James Guercio only lasted for the first three days of the shoot, and cinematographer John Alonzo and McQueen himself also had a hand in the finished film at one point or another, with credited director William Wiard apparently hired only to placate the Directors Guild when they wouldn’t allow the star to direct himself. The screenplay went through many changes along the route as well, with Thomas McGuane’s 450-page epic being constantly chipped away, Abraham Polonsky’s rewrite being rejected and Bud Shrake’s final script eventually alternating with McGuane’s depending on which version the star felt like filming that day. And just to add to the good news, the picture suffered from major budget cuts due to studio politics and the threat of a William Goldman-scripted Robert Redford rival project (eventually made for TV with David Carradine as Mr Horn). It shrank from a three-hour $10m epic about the Indian tracker and interpreter’s life to a $3m small-scale Western about its ignominious end.” Score by Ernest Gold. Shot in subdued color, in Arizona. The citified gent on the left is the actual Joe LeFors, the competent Wyoming lawman who pursued Butch Cassidy, captured Horn and extracted a (perhaps inaccurate) sort-of-confession by getting Horn drunk. On the right is the real Tom Horn in 1903 while incarcerated awaiting his execution. He’s making the rope that will be used to hang him. 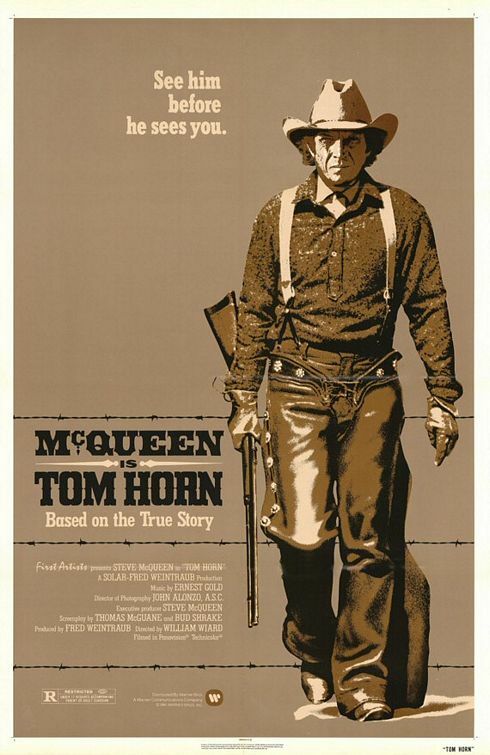 McQueen didn’t actually make many westerns, although he seems very much like a western star. 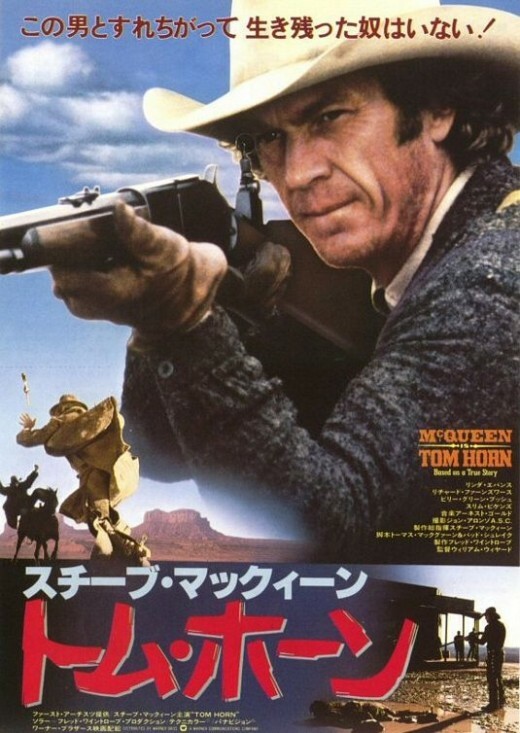 Tom Horn was also played by John Ireland in the 1967 Fort Utah, which hardly anyone has seen, and by David Carridine in the 1979 made-for-television version of the story, Mr. Horn. This is better than both of those, but that’s not saying much. The definitive version of Tom Horn’s story has yet to be made. McQueen did make western screen history with one element of the production design here. This movie marks the re-introduction of the traditional big cowboy hat to westerns, after several decades of 1950s-styled hats. Now a western with any pretension to authenticity is likely to include more historically-correct hats, which have been worn with great success by Tom Selleck (see Quigley Down Under, for example), among many others. For the definitive Tom Horn biography, see Larry D. Ball’s Tom Horn in Life and Legend (2014). This entry was posted in Westerns Worth Watching and tagged End of an Era, Richard Farnsworth, Steve McQueen on November 23, 2013 by Nicholas Chennault. This was director Sam Peckinpah’s second movie, one of the two that are counted his very greatest, and one of the first notable passing-of-the-old-west movies. As aging former lawman Steve Judd (Joel McCrea) rides into a town in California’s Sierra Nevada at the turn of the century, he hears cheers from the citizenry lining the streets. He sees no one else and figures the cheers must be appreciation for him and his earlier career, and he tips his hat. Then he is rudely shooed out of the way by a policeman, as a camel and horse race around a corner and toward a finish line. The cheers were for the racers. In fact, Judd and his career are largely forgotten. He’s been getting menial work where he can to survive, but time and the west itself have passed him by. He finds old friend and fellow former lawman Gil Westrum (Randolph Scott) working a shooting booth at a carnival, billed as the Oregon Kid. Judd has been lured here by the offer of a good-paying job escorting $250,000 in gold down from a remote mining camp to the bank in town. It turns out that expectations are too high on both sides of the deal. The father and son who run the bank (Percy Helton and Byron Foulger, very good in bit parts) were unaware of how old Judd now is; and in fact there’s only about $20,000 in gold. Judd is to get $20 a day, plus another $20 to be split between Westrum and his headstrong and girl-crazy young partner Heck Longtree (Ron Starr). Contemplating the limited rewards of a life spent in law enforcement. The dialogue between Judd and Westrum as they ride the high country toward the camp of Coarse Gold has several recurring themes: lost loves and disappointments of the past, the way that a career in law was too dangerous and didn’t pay enough to get married and have a family, and an easy way with scripture. They come to a farm, where they seek lodging for the night with Joshua Knudsen (R.G. Armstrong), a man even more given to spouting scripture than they are. 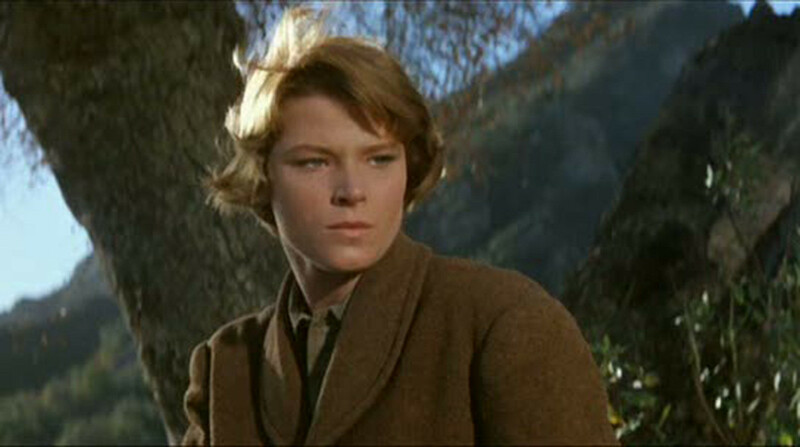 His daughter Elsa (the luminous young Mariette Hartley) is anxious to experience more of life than is available on her mountain farm with an oppressive father. She goes so far as to encourage Heck’s attentions. It turns out she fancies herself engaged to a miner in Coarse Gold, and she sneaks off to follow Judd’s small band when they leave the next day. And it also turns out that the gold isn’t all that’s coarse in the mining camp. Her miner is Billy Hammond (James Drury in his pre-Virginian days), the most presentable of the five despicable Hammond brothers (John Anderson, Warren Oates, L.Q. Jones and John Chandler Davis are the others). Longtree deposits Elsa with the Hammonds with considerable misgivings, while Judd and Westrum conduct their business in the camp, where the people are as coarse as what they mine. That night Elsa, Billy and the Hammonds go to Kate’s Place for her to be wed to Billy by the inebriated Judge Tolliver (Edgar Buchanan). Immediately after the wedding, she discovers that marriage with a Hammond is not at all what she was expecting. Judd rescues her, and the small band retreats from Coarse Gold amid threats from the Hammonds. Mariette Hartley in her first movie. Indeed, they are bushwhacked by the Hammonds on the trail while Judd is discovering that Westrum plans to make off with the gold himself. Heck and Judd fight off the Hammonds, killing two of them (Sylvus, played by L.Q. Jones, and Jimmy, played by John Chandler Davis). As they approach the Knudsen farm, they find that the three remaining Hammonds have made it there before them and killed Joshua. Heck and Judd both take bullets, and, after a standoff, Judd and Westrum decide to take on the Hammonds “straight on, just like always.” It’s a powerful ending. This was not a pretentious or large-budget film when it was made. Peckinpah was known mostly for directing television westerns (Have Gun Will Travel, Gunsmoke, The Rifleman and his own brief series, The Westerner). But he makes the elements come together here superbly to form one of the great westerns. First is the casting: Joel McCrea at 57 and Randolph Scott at 64 were near or even past retirement, but one can’t imagine any one else in their roles. Scott has much more dialogue than we’re used to hearing from him, and he handles it with considerable dry humor. The supporting characters are well-written and well differentiated. The screenplay was written by N.B. 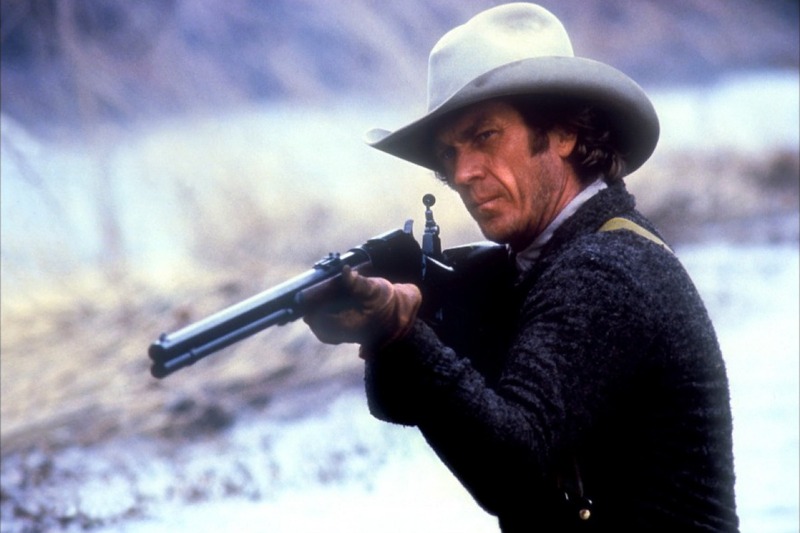 Stone Jr., known mostly for television writing but also for the excellent Man With a Gun. Its Old Testament flavor and dry humor play very well with the two principal characters. Stone even has the drunk Judge Tolliver stand in a whorehouse and give a rather touching speech on marriage. Elsa: “My father says there’s only right and wrong–good and evil. Nothing in between. It isn’t that simple, is it? Lucien Ballard was the cinematographer, and his work was remarkable, as usual. Note the use of the actual Sierras in the Inyo National Forest, and the way that bits of the story are told by means other than dialogue or the faces of the actors, as when Westrum makes a move for the gold and Judd catches him at it. That part of the story is told with the camera just showing legs and feet, and it works very well. And in the final shot, the dying Judd is shown from a very low angle against the looming mountains, almost as if he were one of them. He slowly rolls over and out of the frame, and the camera doesn’t follow him. It’s like watching a mountain crumble. Steve Judd enters his house justified. This was Randolph Scott’s last film and Mariette Hartley’s first; it was also Joel McCrea’s last film of any consequence. In some ways, this is a throwback to the kinds of roles Scott played in the early 1940s, when his character was often trying to decide whether to be a good guy or an unusually ethical bad guy (Western Union, Virginia City). 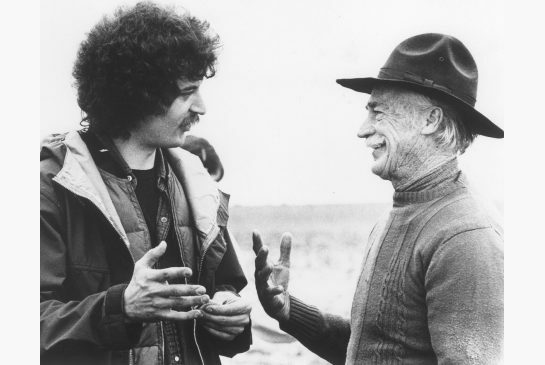 Gil Westrum and his choices are central to the movie. The one cast member who is less than optimal is Ron Starr as Heck Longtree. He’s irritating for the first half of the movie, but he is convincing enough in making his character’s changes as the movie progresses. It’s just that he’s working here with giants (Scott and McCrea) in the principal roles and with extraordinary character actors. Hartley outclasses him, too. 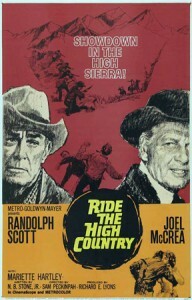 The high country of the title, in the end, is not just the magnificent mountain scenery in which this film takes place. It’s also the moral ground on which the unyielding Steve Judd makes his stand. And perhaps it’s the place he’ll meet Gil Westrum in a while. Westrum’s last line, spoken to Judd, is “I’ll see you later,” which seems to bear much more meaning than it usually would. Hartley said that after the last scene with McCrea, she turned to Scott to find him with tears streaming down his face. For many, this and not The Wild Bunch is Peckinpah’s masterpiece. 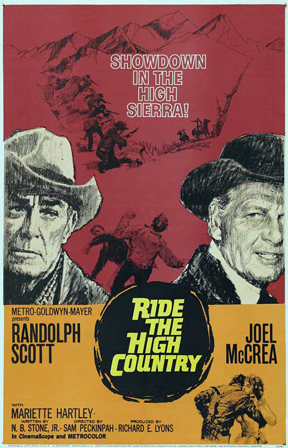 Ride the High Country was shot in just 26 days; Peckinpah was not yet as self-indulgent as he would quickly become. As with Shane, the studio had no great confidence in this mid-budget western and did not promote it heavily. Screenwriter William Goldman said he spoke to an MGM executive at the time who said the film had tested strongly, but they felt the film “didn’t cost enough to be that good.” According to MGM records, the film made a loss of $160,000. Notwithstanding the lack of promotion, the film was named by Newsweek and Film Quarterly as the best film of 1962; it won first prize at the Venice Film Festival; and it received the grand prize at the Brussels Film Festival (beating Fellini’s 8 ½). Europeans loved it before American film audiences recognized what a classic this is. A word of warning: This has been shown on Encore’s Westerns channel, but the print they’re showing is a bad one that gives no no sense of how magnificent the cinematography of Lucien Ballard is or of the clear beauty of the panoramic vistas in the mountains. Nor do they show it in widescreen, which is how it was shot and how it looks best. It’s amazing how much these problems reduce the enjoyment of watching a great movie. Look for a good DVD or Netflix instead. This is one classic that is crying out for a Criterion Collection blu-ray treatment. This entry was posted in 55 Greatest Westerns and tagged Aging Gunfighter, End of an Era, Joel McCrea, Lucien Ballard, Randolph Scott, Sam Peckinpah on September 6, 2013 by Nicholas Chennault. While True Grit in the same year was a backward-looking western playing off the traditions of the genre, Butch Cassidy looks ahead. The language and humor are modern, and were more revolutionary when this movie was released than they seem now. There are more overtly and self-consciously cinematic techniques used. 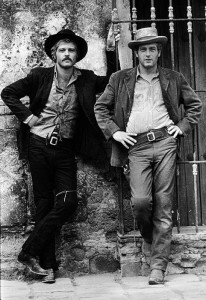 For example, the movie occasionally slides into sepia tones to reproduce the effects of old photographs; it even opens with such a sequence as it introduces Butch and Sundance to us. And the “Raindrops Keep Fallin’ on My Head” interlude where Butch rides a bicycle and frolics with Etta Place and a belligerent bull is reminiscent of the singing scene from Rio Bravo, although Burt Bacharach’s music here is better, if more irrelevant to what’s going on in the rest of the movie. The soundtrack was immensely popular in its time, and the “Raindrops” song won an Oscar for Best Song. Paul Newman, of course, plays Butch Cassidy and Robert Redford is the Sundance Kid. They were so good in these roles that they touched off a vogue in “buddy” movies, where the primary relationship was a friendship between two males. The peak of this trend was 1973’s The Sting with the same stars and director, which won the Best Picture Academy Award. 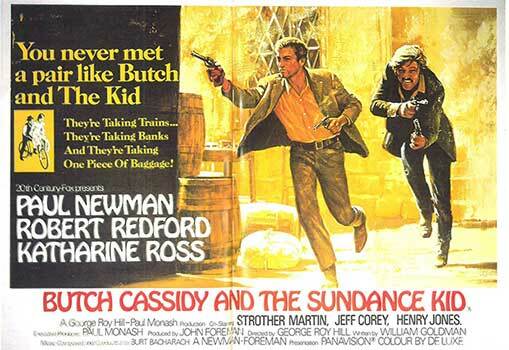 Butch Cassidy is so enjoyable that it has a lot of re-watchability. 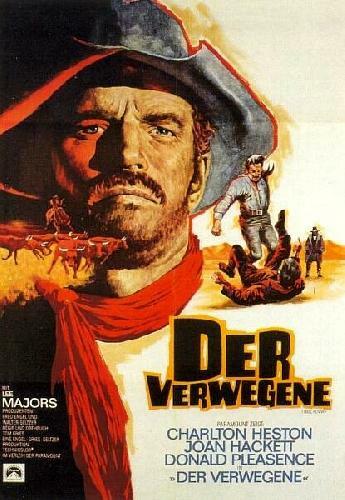 For someone who is not familiar with westerns, this movie might be a good place to start. The plot deals with the late stages of the career of the Hole-in-the-Wall Gang. 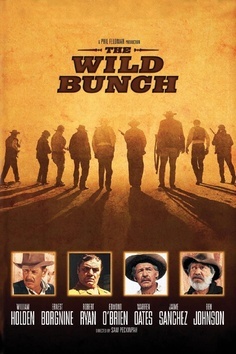 Historically, it was sometimes called the Wild Bunch, not to be confused with the fictional outlaws in the Peckinpah movie with that title or with the Doolin-Dalton gang based in Oklahoma, sometimes referred to by that name. The gang is led by mastermind Butch Cassidy, who is slowly coming to the conclusion that there isn’t much future in the train-robbing business at the end of the 19th century, as the railroads devote more resources to his capture and become better at pursuing him. The movie opens with two brilliant sequences. 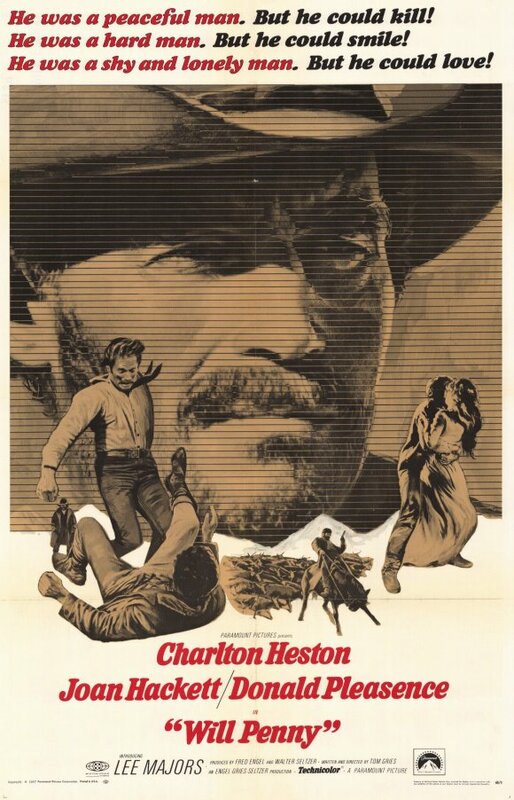 First, with the opening credits, is a pseudo-version of The Great Train Robbery, followed by a sepia-toned card game that establishes the tone for the movie with its dialogue, as well as setting the characters for Butch and Sundance. As the movie goes to full color, it features two actual train robberies and their aftermath. Butch and Sundance escape their relentless pursuers, but only with great difficulty. 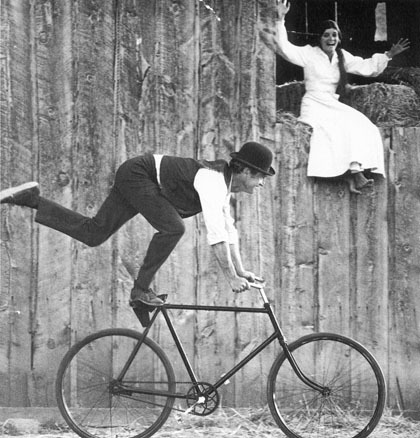 They take temporary refuge with Etta Place, a rural school teacher and the girlfriend of Sundance, with whom Butch enjoys the musical bicycle interlude. Etta is played by the luminous Katharine Ross, then best known for her breakthrough role a couple of years earlier in The Graduate. (These two movies represent the peak of her cinematic career.) 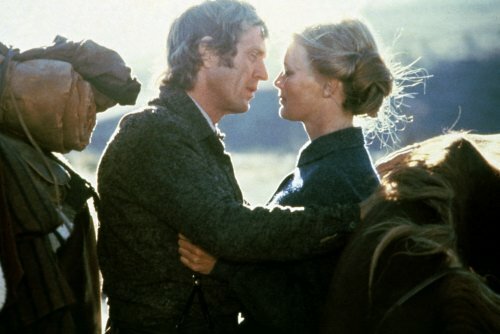 And Etta doesn’t come between Butch and Sundance. Foolin’ around, during a musical interlude that shows off the David-Bacharach music but doesn’t do much to advance the plot. Using their ill-gotten train-robbery gains, the trio stops in New York to see the sights on the way to South America. They travel to Bolivia and try to go straight, but that doesn’t work for them and they take up bank robbery again as Los Bandidos Yanquis. Eventually tracked down by the Bolivian army in the small town of San Vicente, they shoot it out, ending the movie with the famous final freeze-frame shot of the wounded Butch and Sundance emerging with guns blazing from the room where they’ve taken cover. For many, it’s a more effective end for characters we’ve come to care about than the final slow-motion violence of The Wild Bunch or Bonnie and Clyde. Butch was an immensely attractive character, both in real life and as portrayed by Newman in this movie. It is now hard to imagine anybody but Redford as Sundance, although the role reportedly almost went to Steve McQueen. Newman and Redford are very persuasive, both in their individual roles and as friends. The cast is excellent, top to bottom. Ross is very good, although there are times when her character seems extraneous. The various members of the gang are very good, too, although Ted Cassidy is physically much larger than the actual Harvey Logan, the meanest and perhaps most dangerous man in the gang. (See the famous photograph of the bunch taken in Fort Worth, where Harvey Logan appears much more innocuous.) Strother Martin makes a memorable appearance as a “colorful” Bolivian mine manager. Jeff Corey, who was the killer Tom Chaney in True Grit, is a sympathetic sheriff here. This was also the film debut of Ross’s future husband, Sam Elliott, but he’s hard to spot. 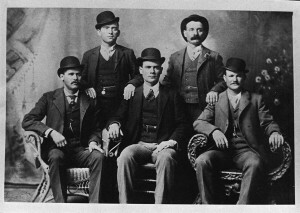 The famous photograph of the Wild Bunch taken in Fort Worth in 1901, with Sundance in the left front and Butch in the right front. Harvey Logan is standing on the right. There is violence in this movie, and not just from blowing up safes and railroad cars. 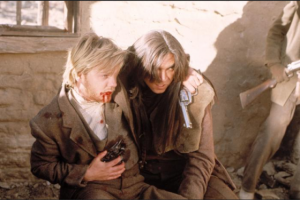 Aside from all the shooting in the final scene, there is also a scene where Butch and Sundance take back from Bolivian bandits the mine payroll they were hired to protect. In Bonnie and Clyde fashion, the shootout and the resulting deaths are in slow motion–except here the slow motion is stopped with the hail of bullets, so the last image of the two is of them in action. Butch and Sundance take on the Bolivian army. The script by William Goldman (The Princess Bride) is an acknowledged gem, and it won the Academy Award for Best Screenplay. Lines from it are bandied between aficionados of the genre: “Rules, in a knife fight?” “Can I move? I’m better when I move.” “Woodcock, is that you?” “Think you used enough dynamite there, Butch?” “You just keep thinkin’, Butch. That’s what you’re good at.” “If he’d just pay me what he’s spending to make me stop robbing him, I’d stop robbing him.” “Who are those guys?” “Boy, I got vision, and the rest of the world wears bifocals.” The squabbling of Butch and Sundance sometimes sounds like an old married couple, but it’s effective. The film was included at no. 73 on the American Film Institute’s list of the greatest American films of all time (http://www.afi.com/100years/movies10.aspx). As with True Grit, much of the movie was shot in Colorado; the Bolivian scenes were shot in Mexico. The cinematographer was the excellent Conrad Hall, who won the Oscar for Best Cinematography for his work here. The movie was nominated for Best Picture but lost to Midnight Cowboy. 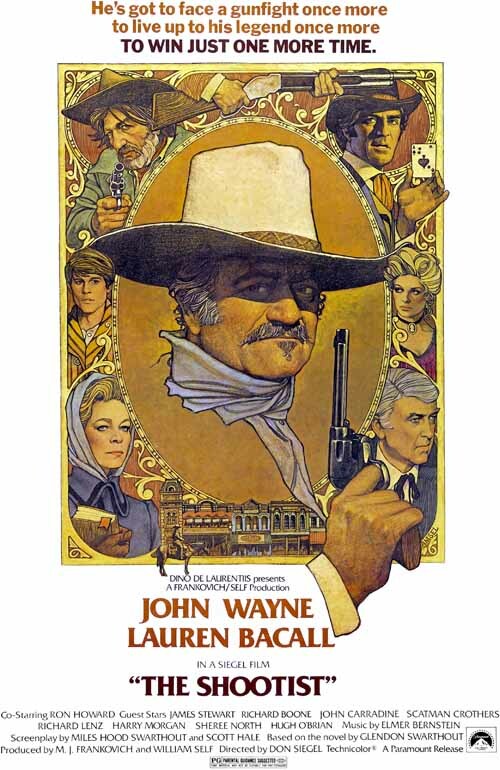 This entry was posted in 55 Greatest Westerns and tagged Butch Cassidy, Conrad Hall, End of an Era, Outlaw Gangs, Paul Newman, Robert Redford, Train Robbing, Trains on August 27, 2013 by Nicholas Chennault. In Peckinpah’s earlier Ride the High Country, two former lawmen were playing out their string in a corrupt turn-of-the-century west. In The Wild Bunch, there’s no hiding the fact that the protagonists are a gang of bandits and savage killers coming to the end of their time in an even more corrupt revolutionary Mexico. Eventually they find unexpected humanity, even heroism, in that end. “I was trying to tell a simple story about bad men in changing times. The Wild Bunch is simply what happens when killers go to Mexico. The strange thing is you feel a great sense of loss when these killers reach the end of the line.” That’s what director Peckinpah says he was trying to do, but it’s more than that. The title notwithstanding, this doesn’t deal with the outlaw group historically known as the Wild Bunch—that was Butch Cassidy’s gang of bank and train robbers. Like Butch Cassidy and, to some extent, True Grit in the same year, this is an end-of-an-era western. The outlaw gang has reached the end of its time and knows it. It is 1913, just before World War I—an era of multiple revolutions in Mexico. The fictional outlaws in question are led by Pike Bishop (William Holden, in one of his last good roles). Other members of the gang are played by Ernest Borgnine, Warren Oates, Ben Johnson, Edmond O’Brien and Jaime Sanchez. Robert Ryan is Deke Thornton, a former member of the gang captured and forced by the authorities to help track down his onetime comrades. The movie opens with a memorable image of several children torturing a large scorpion with ants as the gang rides into a town, and the analogy of the scorpion to the gang will become obvious. In the town, the gang botches a train station robbery, is shot up and then looks for a last big score. They find it south of the border, agreeing to steal U.S. military weapons from a train for the benefit of Mexican revolutionaries. However, there is a falling out with their employers on this job, and the climax of the movie involves a long shoot-out between the outlaws and the corrupt revolutionaries, which the outlaws cannot possibly win. The shoot-out scene is reminiscent of the final scene of Butch Cassidy, released the same year. Both involve outlaws in a final fight against overwhelming odds south of the border. A major cinematic difference, however, is that Butch Cassidy ends with a freeze frame of Butch and Sundance emerging from their cover and firing at the Bolivian army. In a sense, they never really die because we don’t see the effects on them of the hail of bullets we hear. 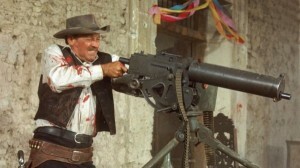 The famous end of the fight in The Wild Bunch features extended slow-motion violence as each member of the gang is cut down while slaughtering as many Mexicans as possible. In that slow-motion violence, it also has much in common with the end of Bonnie and Clyde from two years earlier. Some felt that The Wild Bunch glorified violence too much, and it certainly influenced the way violence has been shown in westerns ever since. That’s why most of the good westerns in the last two or three decades have R ratings. Butch was lighter and more enjoyable; The Wild Bunch was more influential among cineastes. Playing Pike Bishop is one of William Holden’s best performances ever. 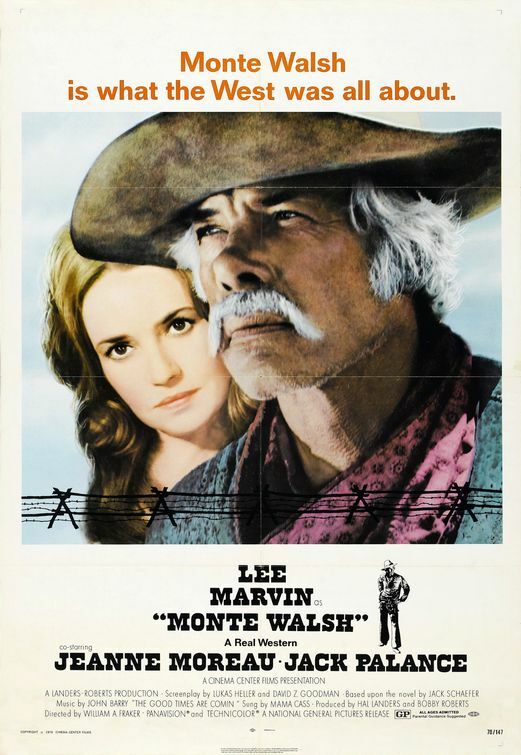 The role was originally slated to go to Lee Marvin, but he dropped out to make Paint Your Wagon (bad career move). Holden made this at a time when drinking and hard living were taking their toll on his appearance and acting skills, but here he was still very good. 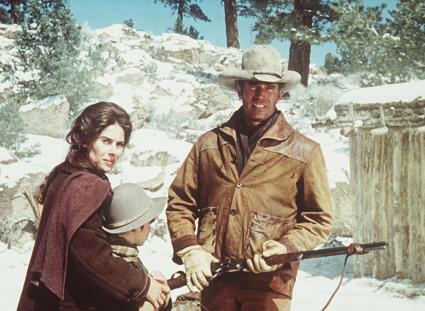 As with central characters Charlton Heston in Major Dundee, and Joel McCrea in Ride the High Country (earlier Peckinpah movies), the movie depends on Holden’s ability to keep our interest and sympathies. He does it well. Ernest Borgnine is excellent as Dutch Engstrom, Bishop’s principal support in the outlaw band. This is also one of the last roles for Robert Ryan, who plays Deke Thornton, conflicted as he leads a group of despicable bounty hunters in tracking down his former friends (much like the John Vernon role in The Outlaw Josey Wales). 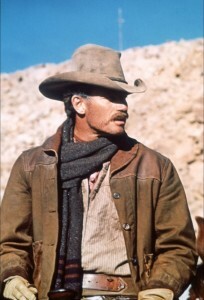 Few actors in westerns played conflicted as well as Ryan (see Day of the Outlaw and Lawman, for example). As edited for the film’s theatrical release, Thornton’s principal function is as audience surrogate, telling us what to think about what are actually repulsive-seeming outlaws, but are in many ways more admirable than the other characters with whom they come in contact: railroad executives and detectives, bounty hunters theoretically on the right side of the law, corrupt Mexican revolutionaries, even German militarists. Everybody’s corrupt, it seems to say; you just get to choose the direction and the degree of your corruption. 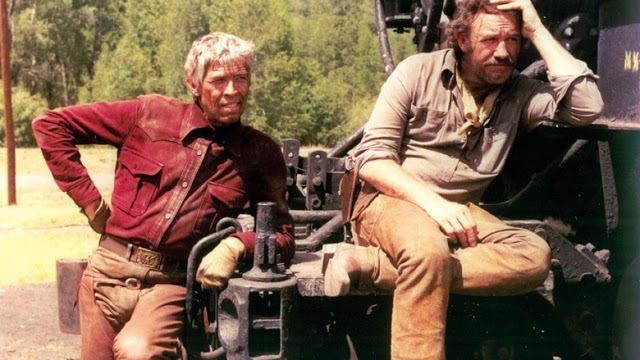 The film also has good supporting performances from Peckinpah regulars Ben Johnson and Warren Oates (as the outlaw Gorch brothers), Strother Martin and L.Q. Jones as sleazy bounty hunters, and Bo Hopkins in his first role as a feeble-minded gang member abandoned and killed in the early railroad office holdup. Edmond O’Brien is the old horse wrangler for the gang. There are no significant female roles in the film, but even those few females are less admirable in their way than the outlaws who are their customers. The depiction of many of the Mexicans now seems a little dated, but it’s still powerful. They’re mostly caricatures and prostitutes. Jaime Sanchez as Angel, the Mexican member of the outlaw band, may have deserved better. Much of the movie was filmed in Mexico, a favorite Peckinpah location as well as the actual setting for this movie’s action. 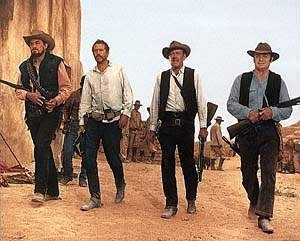 Most would see The Wild Bunch as Sam Peckinpah’s masterpiece. Others prefer the earlier Ride the High Country, as a purer story. The Wild Bunch certainly has a lot more moral ambiguity; there are no purely admirable characters, just strong ones and weaker ones. There are some themes of honor and loyalty, but it’s not certain what they mean or exactly how they apply. The Wild Bunch shows some development in cinematic abilities from High Country (the memorable scorpion image, for example) and it’s near the peak of Peckinpah’s depiction of male bonding and love of violence. Even in this great movie, however, there are signs of the self-indulgence that marred much of the director’s career. Decades later, the violence still seems savage and excessively gory. The glorification of drunken roistering as central to male bonding seems somewhat misplaced, although it fits with Peckinpah’s own views and life. As with some earlier Peckinpah movies (notably Major Dundee), and almost all later ones, Peckinpah had continual battles with the studio over his inability or unwillingness to control the film’s budget and shooting schedule. This one is a great western and a strong one, but it’s also one of those, like Unforgiven and even The Searchers, which can be easier to admire than to watch again, mostly because of their emotional roughness. The cinematography by Lucien Ballard is marvelous. There’s a brilliant shot, for example, of an exploding bridge dumping a dozen horsemen into the Rio Grande, and another of horses and their riders tumbling down sand dunes where you can taste the sand and dust. The movie has many memorable images, but not a lot of memorable lines. The lines you do remember seem unremarkable by themselves; it’s the situations which cause you to remember them. When Bishop says to his gang, “Let’s go,” for example, you know then (and you sense that they know) they won’t survive, and you remember that feeling. Bishop’s ethos is expressed in his rationale for not breaking up the gang: “We’re not gonna get rid of anybody! We’re gonna stick together, just like it used to be! When you side with a man, you stay with him! And if you can’t do that, you’re like some animal, you’re finished! We’re finished! All of us!” But it isn’t like it used to be, and the suggestion is that it probably never was. They are finished, and they’re just trying to find a way to play it out. The screenplay and Jerry Fielding’s score were nominated for Oscars; they didn’t win. In the DVD age, there is a director’s cut of the film (144 minutes), released in 1994, although Peckinpah was long dead by then. It includes more of the relationship between Pike Bishop and Robert Ryan’s Deke Thornton, giving the Thornton character more weight than he had in the theatrical release. This movie did not spring fully-grown from nowhere. It owes something to The Professionals three years earlier, to the sensibility and look of Sergio Leone’s spaghetti westerns, and to Bonnie and Clyde two years before. But it is clearly its own Sam Peckinpah movie, too, and has itself become very influential far beyond westerns. As a western, its limitations may be that it lies on the fringes of western themes and leaves a feeling of nihilism and discomfort for reasons that can be hard to define. Roger Ebert referred to it on its release as “possibly the most violent film ever made,” and more than 40 years later that violence has not lost its impact or its controversiality. And it has influenced just about every western (and many movies in other genres) made since. For more details on the making and significance of the film, see The Wild Bunch: Sam Peckinpah, a Revolution in Hollywood, and the Making of a Legendary Film, by W.K. Stratton (2019). This entry was posted in 55 Greatest Westerns and tagged Adventures in Mexico, End of an Era, Ernest Borgnine, Lucien Ballard, Outlaw Gangs, Robert Ryan, Sam Peckinpah, William Holden on August 26, 2013 by Nicholas Chennault. A small film when it was initially released, it’s also one of the few great westerns not available on DVD, so it remains largely unseen. Note the Canadian spelling in the title. This was a Canadian production, most of the story takes place in Canada, and it was beautifully filmed on location in British Columbia. It has an excellent soundtrack with music by Canadian Michael Conway Baker and The Chieftains, although that soundtrack has never been released in the United States. There’s a Celtic flavor to the sound, which works well with the time and setting. The film is an end-of-an-era western based on the true story of Bill Miner, a stagecoach robber released from San Quentin in 1901 after 33 years in prison. He tries to go straight, but it’s not easy at his age and with his lack of modern skills. There aren’t many stagecoaches left to rob, but there are trains, so Miner adapts to the new transportation technology, aided by an inept young assistant named Shorty Dunn (Wayne Robson). Meanwhile, the aging Miner, who is going under the name George Edwards, also begins a charming May-December romance with Kate Flynn (Jackie Burroughs), a younger liberated modern woman and photographer. The romance, Miner’s new career as a gentleman train robber and its aftermath form the rest of the story for this movie. There’s not much violence or hard language, although there is tension as Miner is hunted by the forces of the law. 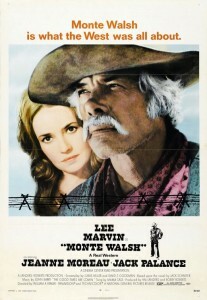 The film’s pacing is slower than that of many westerns as relationships develop. (Compare it to A Thousand Pieces of Gold, perhaps, although it has more action.) But the elegiac pacing seems to fit the story and the actors, and it works well. The movie is marvelously directed and acted. 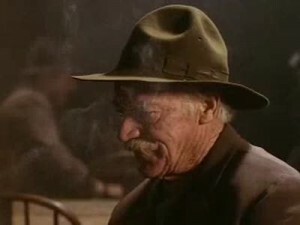 At the time The Grey Fox was made, Richard Farnsworth was 61, with a 40-year career as a stuntman and minor supporting actor. His role here is at the center of this movie, and he’s great. Farnsworth’s voice, phrasing and intonations are unique, velvety and memorable, not to mention those gentle blue eyes and the terrific moustache. Toward the end of his career, he played three marvelous roles, and this was perhaps the best of them. (The others are Matthew Cuthbert in the Canadian television series Anne of Green Gables  and Alvin in The Straight Story , but during the 1980s after The Grey Fox he started getting meatier supporting roles in many movies.) You have to believe in Miner and care about him for the movie to work at all, and Farnsworth is quietly superb. Jackie Burroughs is also very good in her smaller role as the emancipated photographer and romantic interest. The romance could easily have been not terribly believable, given the difference in ages and eras, but it works and works well. In his calm, steady way, Farnsworth knew how remarkable his feat was, and he was appreciative of the opportunity. He told the Associated Press in 1983, “I guess you might say that The Grey Fox is a kind of Cinderella story for me. When I was a kid, I read in the western magazines about a skinny old guy with a moustache who came out of San Quentin after 30 years for stage robbing and tried his hand at train robbing. Forty-two years later, I end up playing him in a movie. I guess I grew into him.” He was a natural presence in westerns, but he also worked well in such films as The Natural (1984). 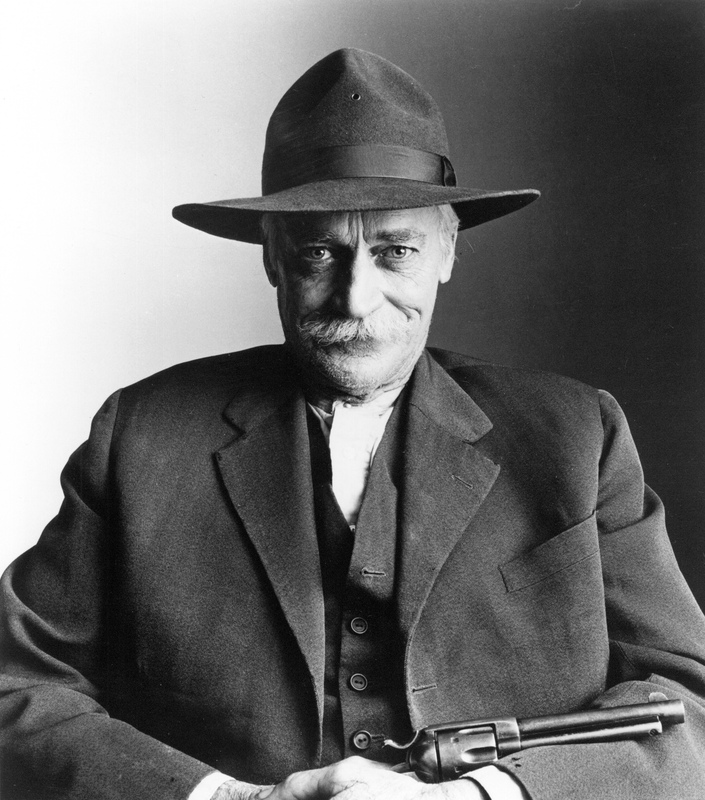 He had significant supporting roles in Tom Horn, Comes a Horseman and The Two Jakes. He even played Wild Bill Hickok in the execrable The Legend of the Lone Ranger (1981), although he was significantly older than Hickok ever got to be. This gem was made with a limited budget; it didn’t have recognizable stars and was released principally in art houses. It’s clearly on a different scale than, say, Silverado, which had much more to work with in terms of budget and stars. But for what it is, it’s great, and it ends on a curiously upbeat note that you wouldn’t have seen coming with the generally autumnal feeling of the film. Even in a film this small, Farnsworth got a Best Actor Oscar nomination for his role as Miner. The film won the Best Film Genie, the Canadian version of the American Oscar, and Richard Farnsworth won the best foreign actor award (foreign, as in non-Canadian). The director, Tasmanian-born Canadian Phillip Borsos, was only 27 when he made this movie, his first feature film. He died in 1995 of leukemia at 41. For another excellent and largely unseen small Canadian western check out Gunless (2010), with Paul Gross as The Montana Kid sidetracked in western Canada. For another underrated but excellent relationship-oriented western, see the aforementioned A Thousand Pieces of Gold (1991), if you can find it. It’s not available on DVD, either, although there were rumors that it was to be released by Panamint in late 2015. Note: The real Bill Miner died in prison, but this story ends the way it should. This entry was posted in 55 Greatest Westerns and tagged End of an Era, Outlaw Gangs, Richard Farnsworth, Train Robbing on August 12, 2013 by Nicholas Chennault.